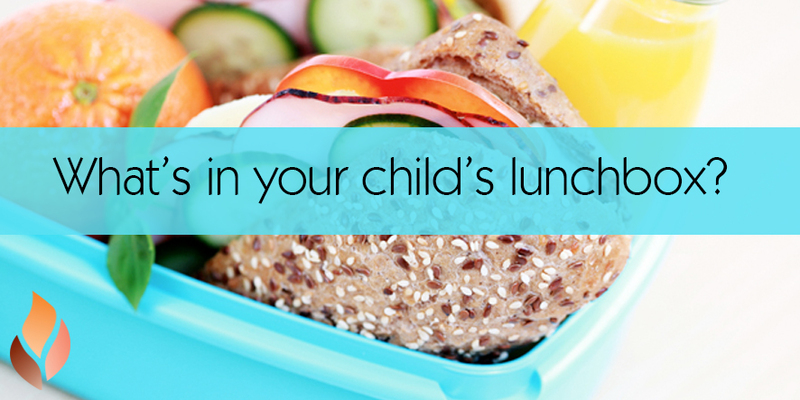 Home » Events and Blogs » Blog » What’s in your child’s lunchbox? Did you know that what you’re putting into your child’s lunchbox effects their mood? At the end of the day, you may pick up a happy child afterschool (which would be ideal!) or you may pick up a grumpy child (not so ideal). Nutritional research is revealing some promising results on our children’s wellbeing when they begin to eliminate excess, hidden sugar from their diet. In fact, this isn’t just the case with children, but with all of us! By simply reducing your daily intake of sugar, you’ll see improvements in brain clarity, energy levels and mood swings! Most Aussie kids are consuming more than 30 teaspoons of added sugar every day! Not only does this type of sugar make children feel down, but the new guidelines released by The World Health Organisation suggest that we should consume no more than six teaspoons of added sugar daily! That means, on average, our children are consuming five times more added sugar than recommended. This means skin irritations, mood swings, digestive issues, low energy and poor concentration. Let’s take a look at some of the sneaky sugars and heavily processed foods in the 2015 lunchbox, and what to swap it to in the fresh, new 2016 lunchbox! Don’t think you have to do it alone all the time! Get your kids in the kitchen with you! They’ll love getting involved, they’ll learn more about nutrition and they may even want to keep doing it themselves!